Turkey and Russia have agreed to focus on a political solution in Syria underlining the close coordination between the two countries that have played key roles in the Syrian conflict. 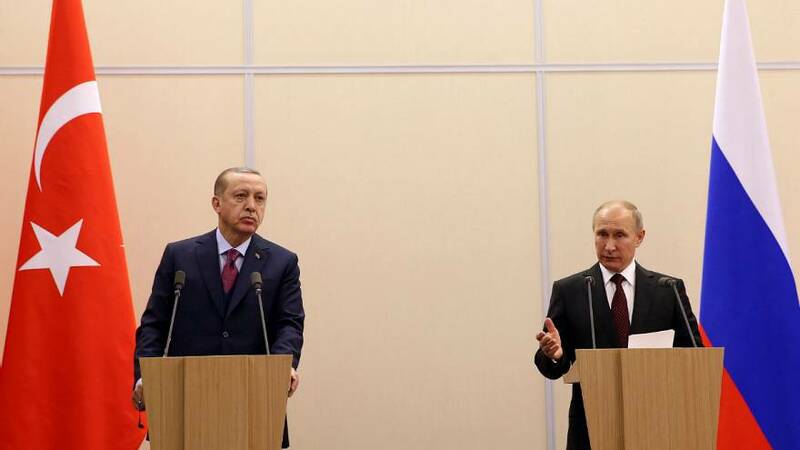 After several hours of talks held in the Black Sea resort of Sochi, Russian President Vladimir Putin described discussions with Turkish President Recep Tayyip Erdogan as “productive”. The two appear to have mended a rift following Turkey’s downing of a Russian war plane in 2015. Back then Moscow imposed sanctions on Ankara but at the Sochi talks the message was economic relations are being restored although possibly not fast enough for Turkey. The two countries are also said to have made progress on a new Russian natural gas pipeline to Turkey.